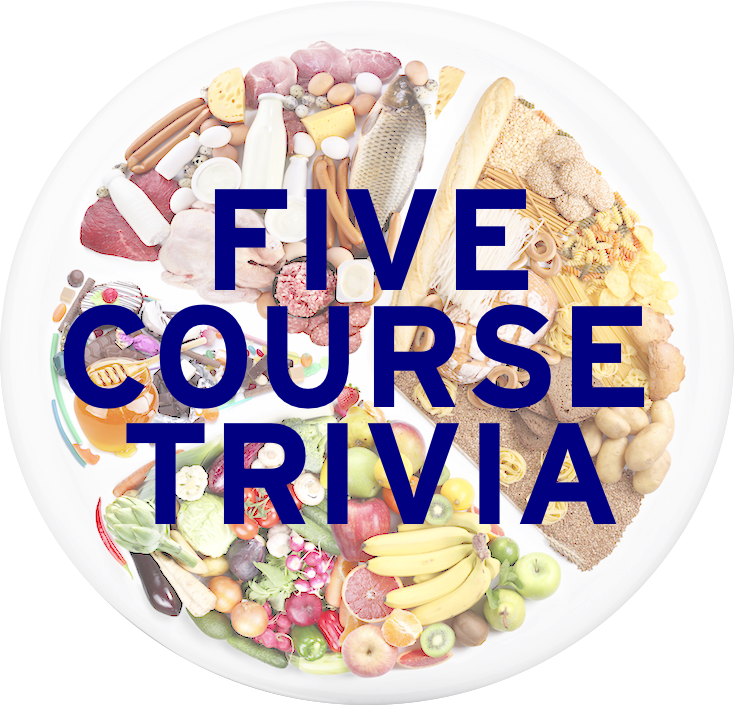 After some finals week interruptions, we’re back with more food questions. Today, we start with a little spice by asking about chili peppers. Enjoy! Also, be sure to take Snack Foods 1DS on the main site! I can guarantee that at least one of those questions has been asked more or less word for word on this site. Good luck! 1. With formula C18-H27-NO3, this compound is the active ingredient in chili peppers. The Scoville scale, which measures how hot chilis are, is based on this compound. 2. Name the chili pepper seen here. First cultivated in Fort Mill, a suburb of Charlotte, it holds the Guinness world record for world’s hottest pepper. I mean look at it. It just might be hottest looking food there’s literally ever been. 3. Chile relleno is a Mexican dish where which pepper is stuffed with cheese, covered with batter, and fried? 4. Derived from the Nahuatl for “smoked chili”, what’s the term for a smoked-dried jalapeno? 5. Seen here is nam phrik, a hot sauce made with garlic, shallots, and chili peppers, that is native to what country? Learned League precedent (LL58, MD22) – This traditionally salty Indian beverage is made by blending yogurt with water, salt, and spices until frothy, and flavored with cumin and chili pepper. A sweet version is flavored with sugar, rosewater, or fruit juice. Tomorrow: We are now two-thirds the way until completing the bananas, crackers, and nuts trilogy, so we’re doing crackers tomorrow. Mostly because I’ve been sitting on a great trivia question I’ve been meaning to ask for months now. I like spicy food, but that is WAY beyond me.